Ford Motor Company really gets my goat. In the worst economic crisis since the great depression, Ford comes up with a green car that cannot be sold in the United States. Fiesta ECOnetic's launch at the 2008 British Motor Show brings the title of the UK's greenest car to Ford. Ford's range of fuel efficient ECOnetic models are leading the company’s bid to cut UK CO2 emissions by over 80,000 tons. 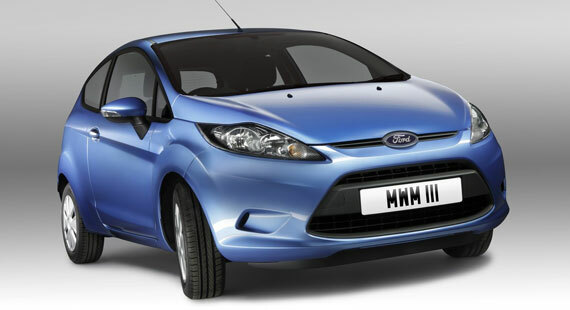 The eco motoring website, http://www.cleangreencars.co.uk, calculated the environmental effect if all Ford buyers switched to the lowest CO2 model in the current range without downsizing, and lists three Focus models in its top five small family cars based on eco friendly credentials. The 44 mpg Kuga, with 169g CO2, is named its cleanest, greenest 4×4 and the Mondeo ECOnetic is shortlisted as an eco large family car. The new Ford Fiesta ECOnetic joins the Focus ECOnetic, which went on sale earlier this year and achieves CO2 emissions of 115g/km and fuel consumption of 65.6mpg (combined cycle). The Mondeo ECOnetic went on sale this month and offers large car comfort combined with fuel economy of over 53mpg and CO2 of 139g/km. Roelant de Waard, Ford of Britain chairman and managing director, said: "In the first half of this year, we have seen a 38% rise in sales of all Fords achieving under 120g CO2. Thanks to Clean green cars we’ve seen what could happen if this swing continues within each of our model ranges." Look for a less efficient gas powered version to be sold in the United States. I guess their philosphy is make money with no loyalty to country. For no better word for it that stinks. No wonder more and more Americans are buying foreign cars if our own auto manufactures are not willing manufacture better energy effect auto here.